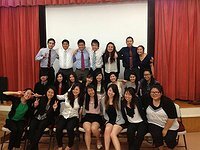 As the Nikkei Community Intern for the Japanese American Bar Association (JABA) and the Japanese American National Museum (JANM), I was given the opportunity to volunteer at JABA’s free legal clinic on Saturday, June 29, 2013. Hi! I'm a yonsei who loves Japan and its rich history. Interested in all that you have to share and looking forward to an amazing learning experience through DN. Yoroshiku!